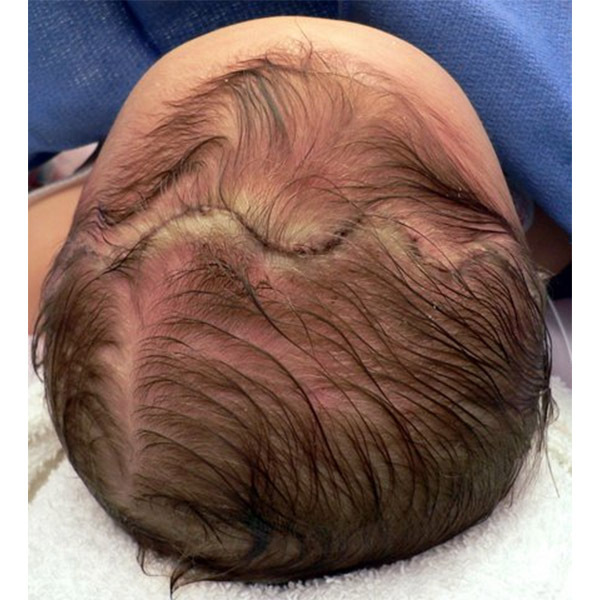 Cosmetic outcomes: Visible outcomes after nonsyndromic cranial vault repair are excellent. 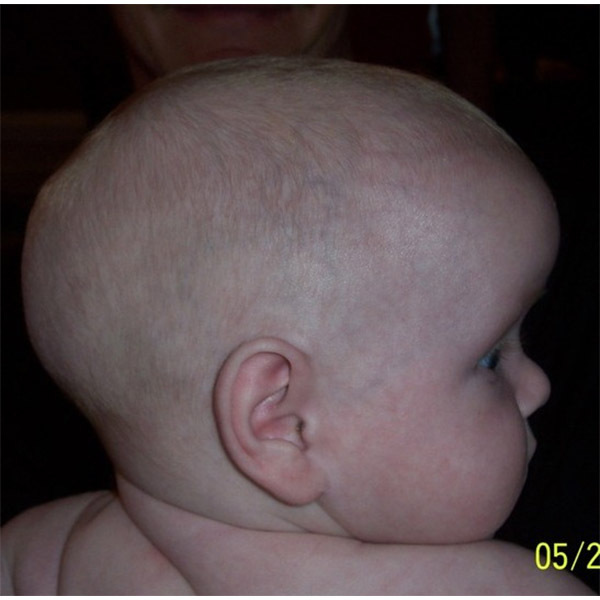 For patients with single suture nonsyndromic craniosynostosis who undergo open surgery at older than 6 months of age, the redo rate is low (35, 53). 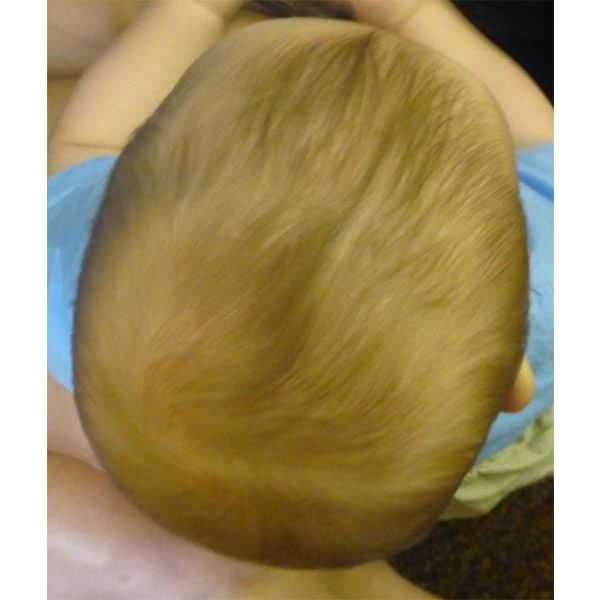 Neurocognition: Recent neurocognitive studies suggest the presence of developmental delays in children with isolated single suture fusions. 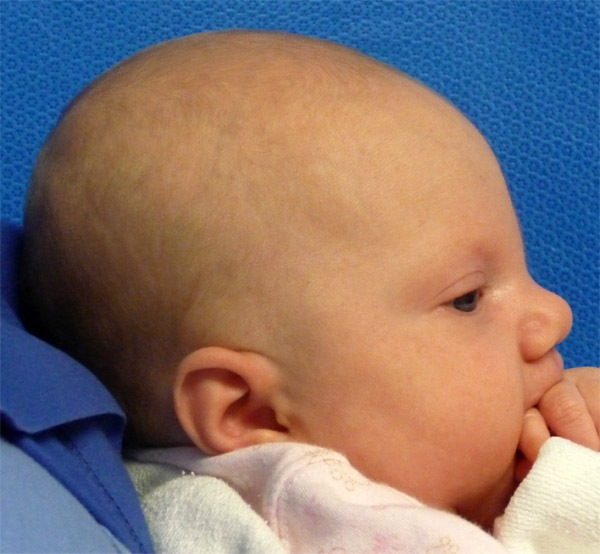 Close follow up in the craniofacial clinic or with neurodevelopmental testing may be in order (36, 43,45). 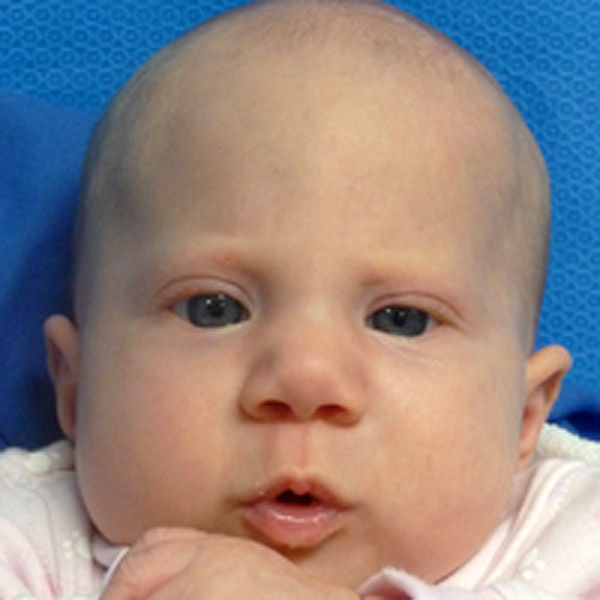 Craniocerebral disproportion: There are very rare instances of lack of skull growth after craniosynostosis. 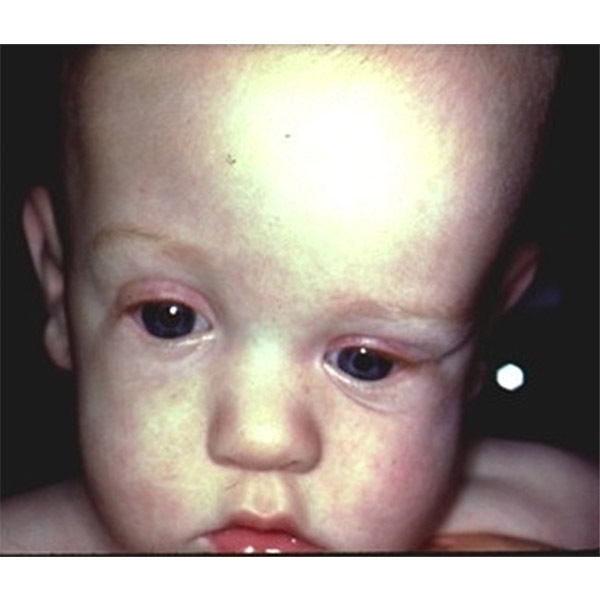 This is more common with antiquated rigid fixation and after repair of syndromic craniosynostosis. 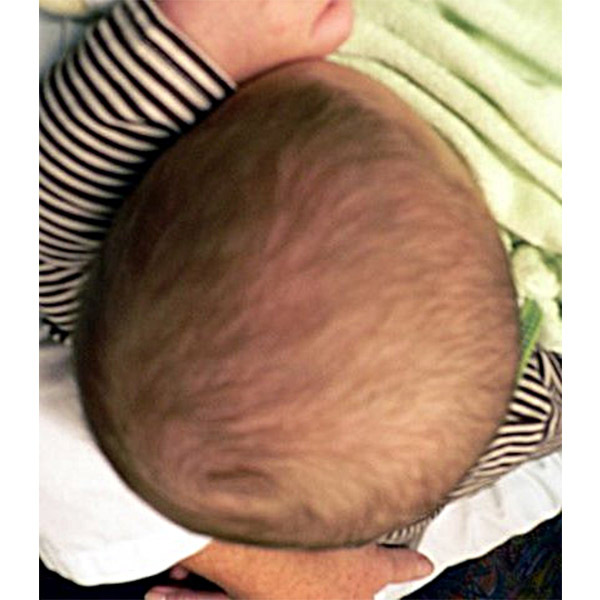 However, the head circumference should be measured at each visit to assure that head growth is adequate (38,42). 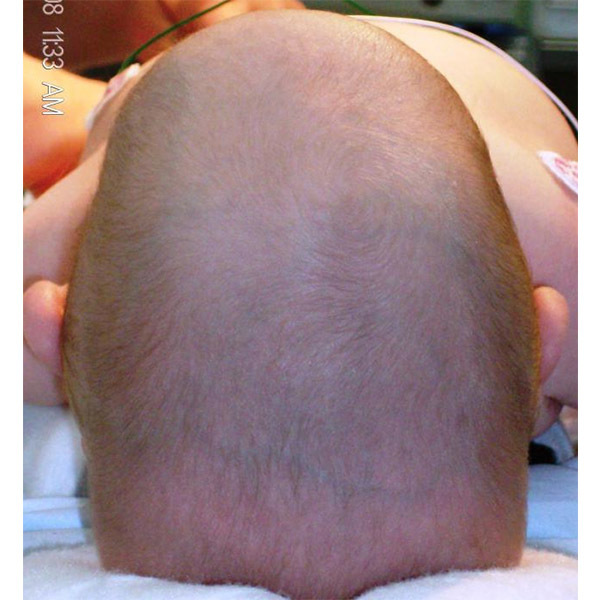 Cranial indices: In a series of 50 patients, quality of surgical outcome and cranial indices were better with cranial vault reconstructions (34). Reoperation rate: 0-8% may require require reoperation (53). 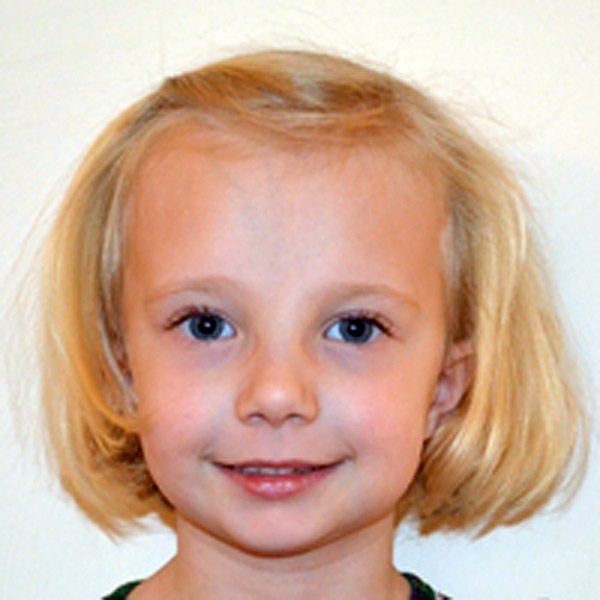 Patient underwent minimally invasive repair. 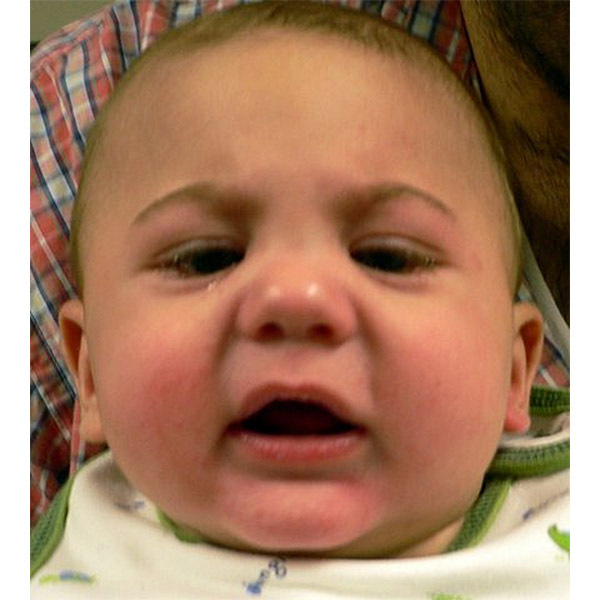 Child before correction (bird’s-eye view, nose down): This photo shows the child at 10 months of age prior to the surgical correction of a sagittal synostosis. 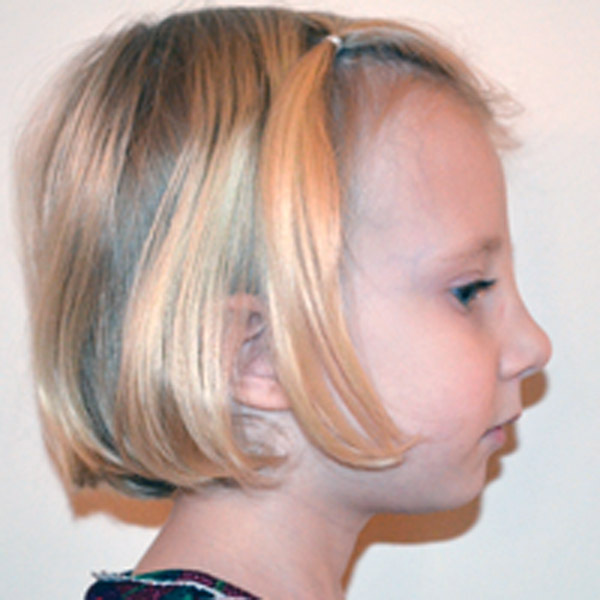 The posterior parietal region is quite narrow compared to the anterior skull. 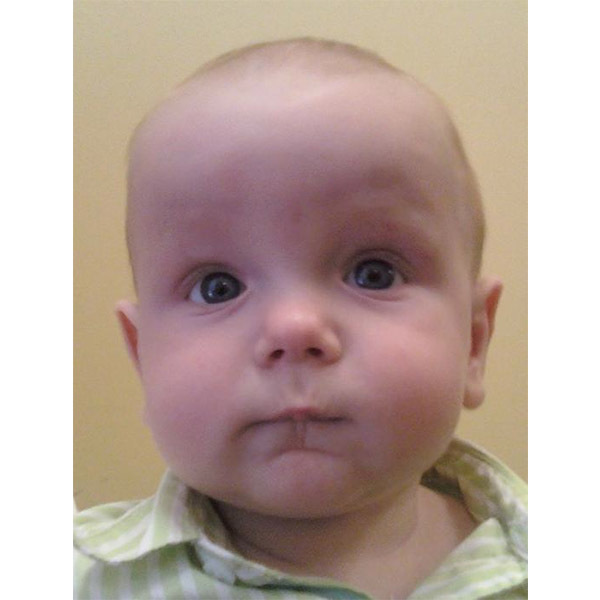 18 months after surgery (vertex view, nose up): Excellent cosmetic result continues in this photograph taken when the child was 28 months old. 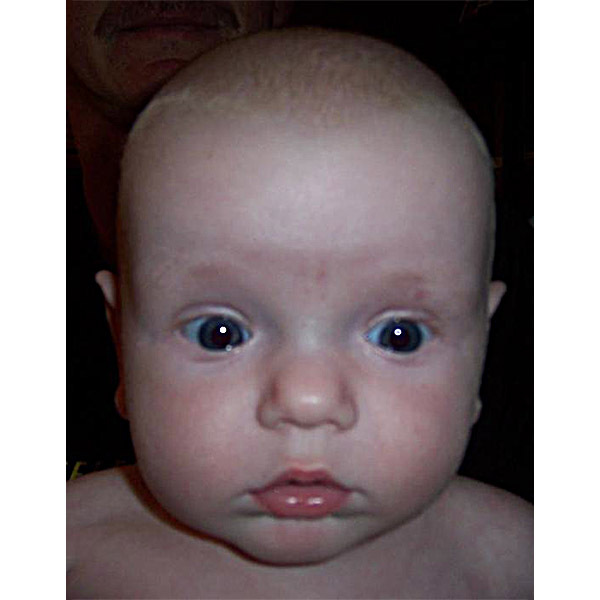 Child before surgical correction (vertex view, nose down): Surgical photo prior to correction of a child 2.5 months old with sagittal synostosis. 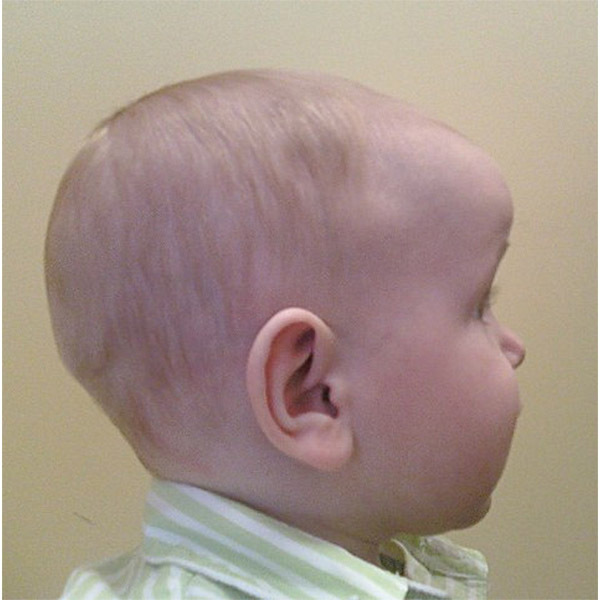 Shown is an exaggerated posterior tapering of the calvarium in addition to frontal widening due to the synostosis. 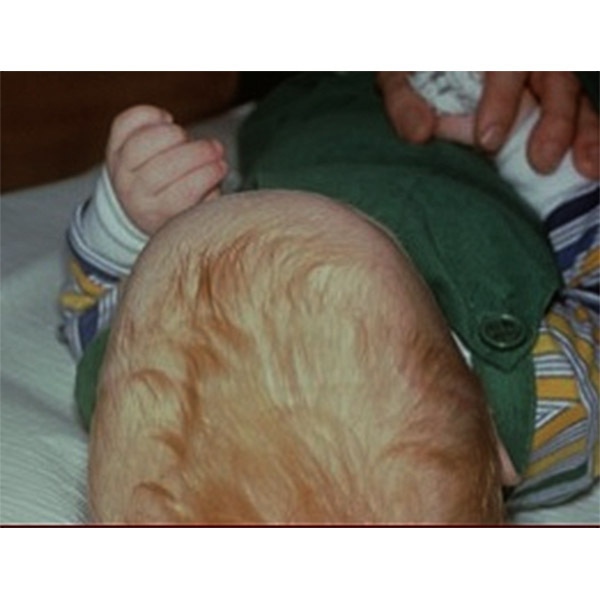 Hypotelorism: Hypotelorism usually improves (17). Reoperation: 9–20% require reoperation for increased ICP or bandeau regression (33, 53). 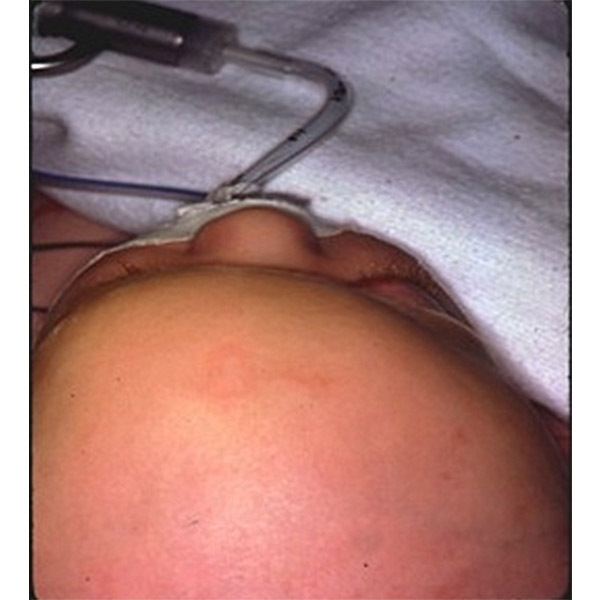 Preoperative view (bird’s-eye view, nose up): Shown is a 7-month-old child with metopic synostosis. Note the triangular shape to the forehead. Preoperative AP view: Note the recession of the orbital rims. Reoperation: 12% may require surgery for increased ICP or bandeau regression (53). 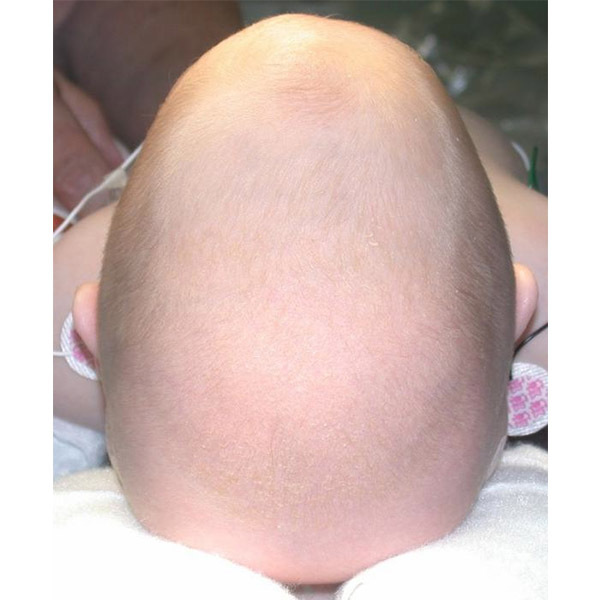 Neurodevelopment: Developmental delays are more likely in children with syndromic craniosynostosis than those with single suture craniosynostosis. 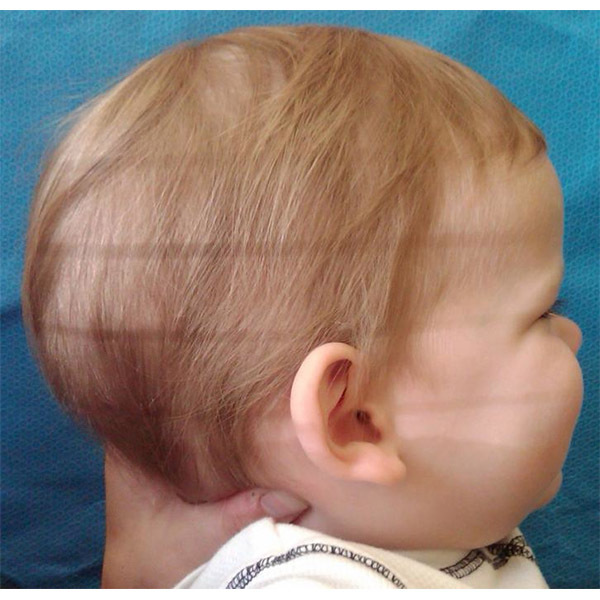 The delays seen in single suture synostosis are due to the underlying disorders and not the suture closure (48). 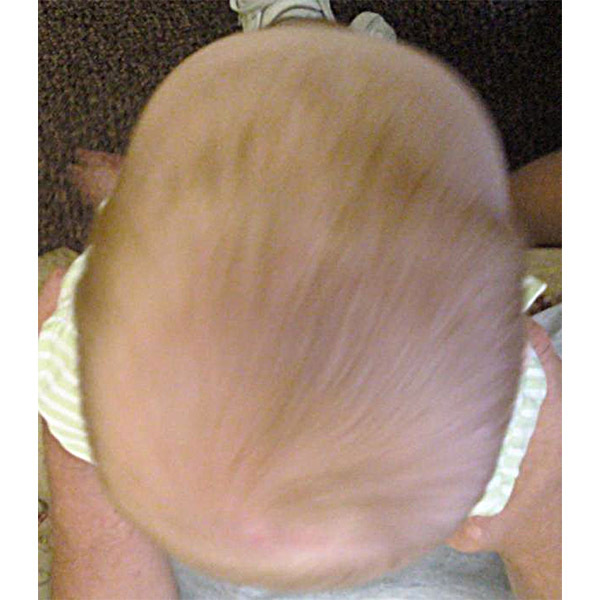 Preoperative frontal view: 6-month-old with right-sided coronal synostosis. 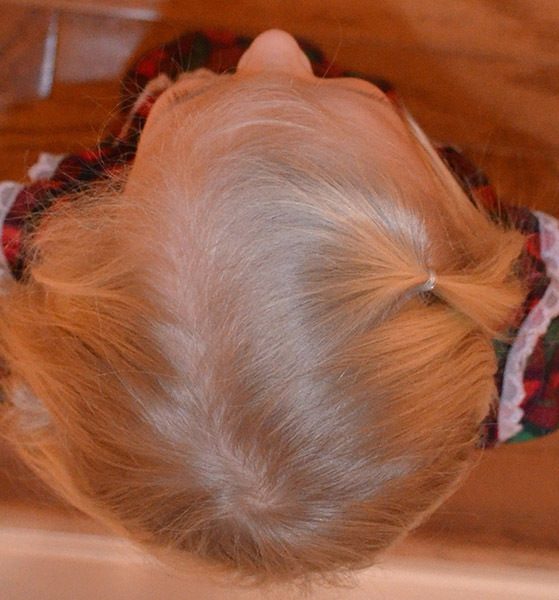 Postoperative bird’s-eye view 12 months after surgery: Note advancement of the forehead on the right side. 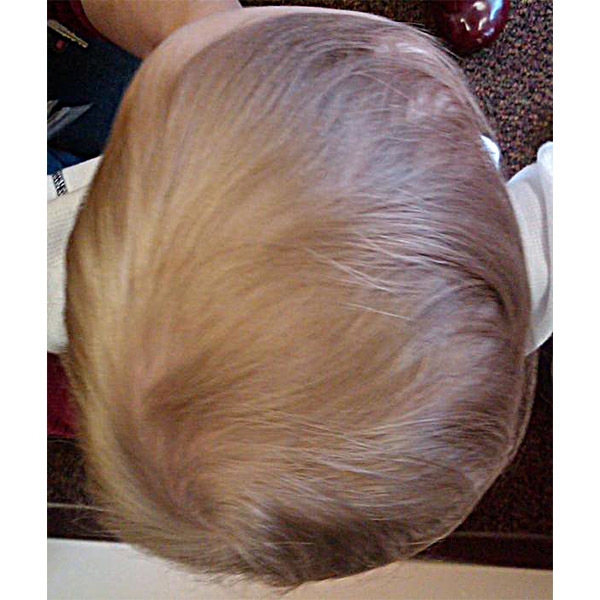 Preoperative frontal view: Child at 6 months of age with right-sided coronal synostosis. Note Harlequin eye. 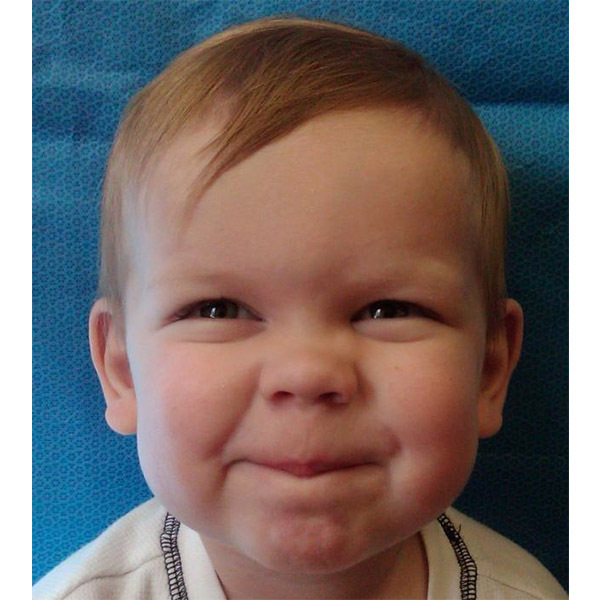 Postoperative AP view at 18 months of age: Note correction of Harlequin eye. 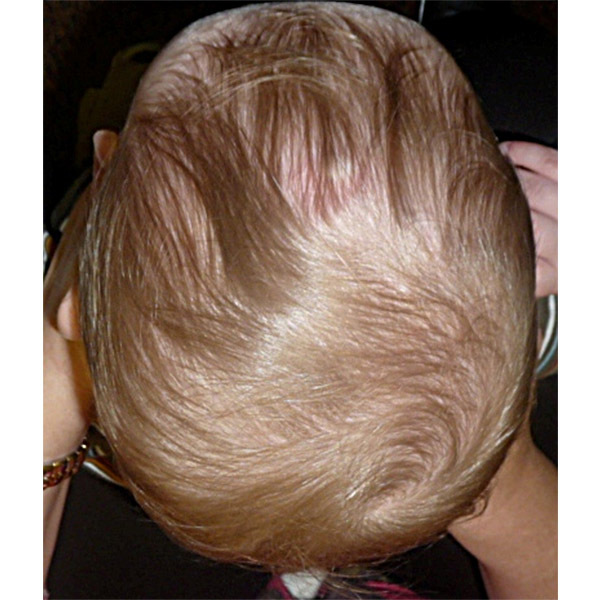 Untreated cases: If not treated initially, the patient must be monitored for signs of increased ICP and neurocognitive delays. 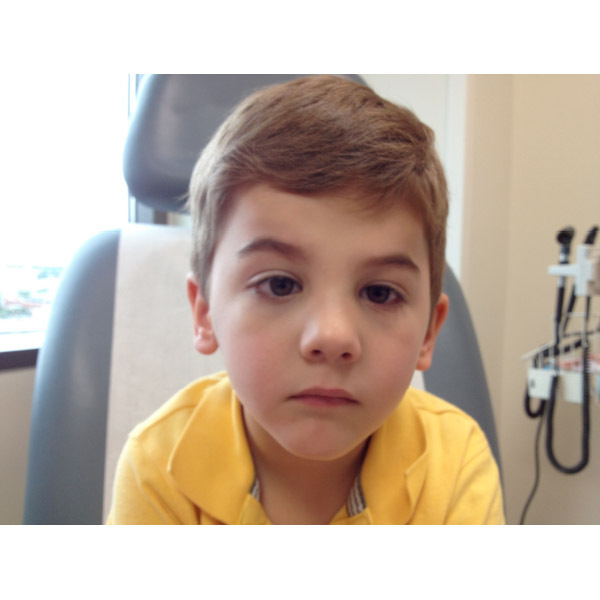 Neurocognition: Recent neurocognitive studies suggest mild developmental delays in children with isolated single suture fusions. 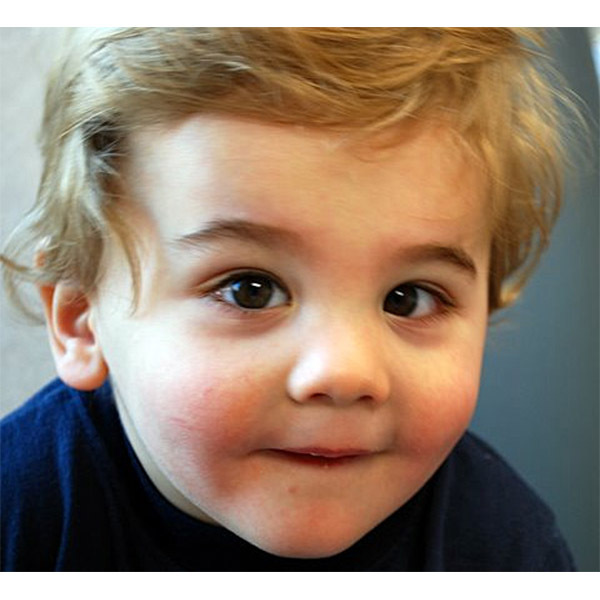 Close follow up in the craniofacial clinic or with neurodevelopmental testing may be in order (36, 43, 45). SPECT studies may indicate a decrease in perfusion to the area of brain under the fused suture (15, 39). 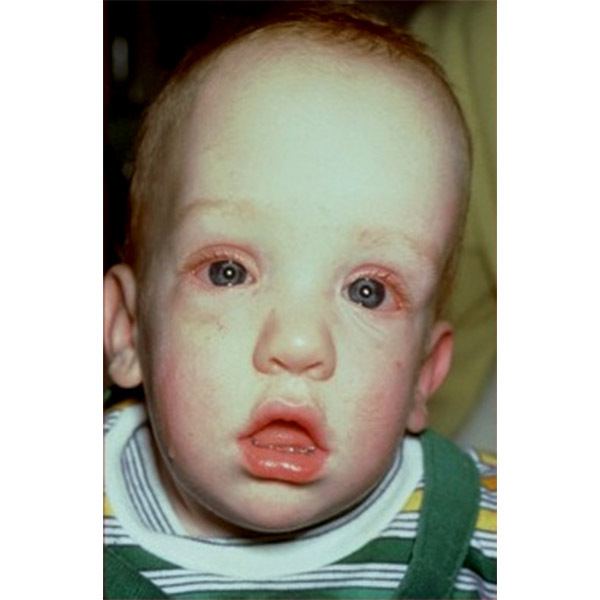 Negative psychosocial issues may occur with progressive cranial or facial deformity (6).